As a Crochet Addict,,, I think we all have a funny mindset!!! 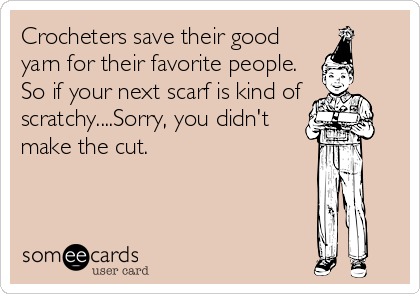 I crochet hours a day… Some for sale,,, Some for me and Some for gifts… This funny Crochet Joke may be true about me… or not… What about for you? ?